A bit over a year ago CycleOps announced their latest devices – and with it, their first GPS integrated cycling computer: The Joule GPS. CycleOps has a long history of power meter head units (and power meters), an area they’ve been at the forefront of for years. 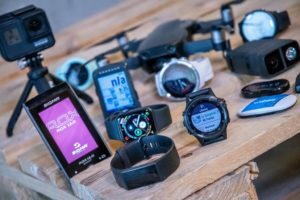 With their jumping into the GPS-enabled bike computer arena, how does the unit fare both by itself, as well as against the competition? Because I want to be transparent about my reviews, CycleOps sent me out the Joule GPS to try out. Once I’ve completed with the review, I send the whole unit back to the folks in Wisconsin. Simple as that. Sorta like hiking in wilderness trails – leave only footprints. If you find my review useful, you can use any of the Amazon or Clever links from this page to help support future reviews. In my case, the unit was delivered to me without any of the fancy box material – mostly because it was delivered ahead of the final release. Though this review is written with the final released and publically available firmware on it. You can see on the front of the unit it contains a single button for the intervals (INT), which you tap to trigger a new lap/interval/set. On the left side, you have a single button, which acts as a ‘down’ arrow. The right side contains two buttons. The upper one acts as a ‘Enter’ button, while the lower one compliments the left side and acts as a ‘up’ arrow. That enter button can be held for about three seconds to trigger switching into the menu system, or going back to the Dashboard. The button arrangement of the Joule has been like this for some time, since the previous Joule, and then before that the LYC (Little Yellow Computer – aka PowerTap head unit). And while I do understand it, I’ve never found it terribly easy to get used to. Personally, I prefer simple start and stop buttons (of which there are none), as well up/down buttons on the same side of the unit. As I routinely find myself pressing ‘enter’ when I meant to press ‘Up’, because the enter button is above the ‘down’ button. You’ll eventually sorta get used to it, but it’s really unlike any other time/distance keeping watch-like device made on the planet with that button configuration. Note above that while the Joule GPS is larger than the Edge 500, the screen size is also slightly larger – making for an easier to read display. And finally, the two units that compete head to head the most – the Garmin Edge 500 and the Joule GPS. No matter, you likely won’t notice a terrible difference between the two units once it’s on your bike. The Joule GPS comes with two mounts, which is kinda nice. Most companies only give you one. In my case, my aerobar setup is a bit too close together to accommodate the unit within the bars – though many of you might be able to fit it inside. So I had it arranged to the outside. The one thing I did note is that while the unit is plenty strong to keep it on there for all the rides I did (since July), I do wish the plastic was a bit stronger. It flexes a bit – heck, even inside on the trainer it flexes a bit. Nonetheless, the second mount option is rather appreciated. Especially given I just posted yesterday that mounts similar to these are selling for $40 a pop! Speaking of which, it’s important to note that the Joule GPS 1/8th turn mounting system is NOT compatible with the Garmin 1/4th-turn mounting system. Thus, none of those mounts and/or accessories or 3rd party products will work. The Joule GPS mount on the back of the unit is a bit wider than the Garmin one, hence the breakpoint there. 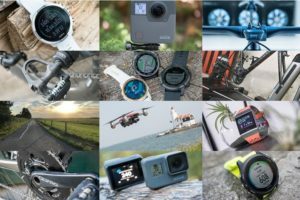 The Joule GPS and non-GPS new Joule do share the same mount system however – so in the unlikely scenario that you’ve bought both units, you could swap them back and forth. I say unlikely, because the Joule GPS can do everything the non-GPS Joule can do, so it would seem silly to buy that one if you already have a Joule GPS – unless you really really really wanted the user replaceable battery that the non-GPS unit offers. The unit supports a fairly impressive customizable array of bikes and associated sensors that you can create and pair. This is nice if you have a single bike with more than one power meter (i.e. different wheel sets), or simply have different heart rate straps. It’s flexible, and flexibility is good. Most units allow only one sensor per sensor type per bike. In the Joule, you can add additional ones that you can quickly swap between. You’ve got two options for configuring the Joule GPS. First, you can use the most common method – which is on the device itself. This is convenient if you’re sitting on the side of the road and just need to make quick modifications. Next, you’ll want to set your power and heart rate zones. This is used within both active as well as historical data fields. If you don’t know your zones, you can do a power test and it’ll help you determine those values. Once you’ve got the ‘you’ part nailed down, you’ll want to focus on getting your bike all paired up. I’m going to assume that if you’ve bought a $250 bike computer, you’re probably going to pair it to any number of ANT+ sensors such as a power meter, heart rate strap, and speed and/or cadence sensors. To do so, you’ll dive into the bikes menu and select a default bike, or create a new one. You can name the bikes anything you’d like. From the default “Bike 1”, to “Cervelo P3C”, to “Fluffy”. It’s your call. From there you’ll see the options for sensors for that bike. Each sensor type you can dive into and then complete a pairing attempt to find sensors, upon which you can name the sensors. This is a godsend for me, as I’ve often got multiple sensor types around (and you might have them on multiple bikes nearby), so it’s quick and easy to know which ANT+ ID goes to which sensor. Sometimes, it’s the little things. Or, you can simply just hit the ‘Pair All’ option and it’ll pair all sensor types it finds nearby. Ideal if you’re solo and just want to pair your speed/cadence sensor, power meter and HR strap all in one shot. Again, the little things that are nice. Once you’re sensors are setup, it’s pretty much time to go. Note that you only have to pair once, it’ll remember it for future rides. Of course, I noted earlier that there’s actually two ways to configure all this information. The second option is to actually use the PowerAgent software. It’s from here that you can configure all the same stuff as above – but do it a HECK of a lot quicker. In fact, for the few of you that read this little paragraph before buying your unit, you’ll save yourself a lot of time as it’s way faster to type in values on a keyboard than on the little Joule GPS. As you can see, you can easily cruise through the menus and set all the same information. I love this. So simple, and so much quicker. If only I had known about the online configuration before I started using the unit. Instead, I found it about 2 days ago. Sigh… My loss, your gain. Before diving deep into all the sections, let’s just spend a quick second to give you a high level overview of the unit. Then from there we’ll go into all the components. Upon turning on the unit by pressing any of the buttons, it’ll immediately start searching for satellites (I’ll talk more about this in a few sections lower down). Once that’s complete, the unit is effectively ready for your ride to begin. It starts the recording as soon as your front wheel moves (or motion is detected). Alternatively, you can configure this to start based on HR. Personally, I hate both options, as there are many cases where I just want to control starting or stopping of the data recording. Instead, those are outside of my control. This was no different than the previous Joule versions – and I disliked it then too. Nonetheless, once you’re going – you’re going. The until will pause the recording if you pause (effectively an auto-pause functionality). So if you stop at a light, it’ll automatically stop recording. And then once the light is green and movement is detected, it’ll resume recording. While the buttons are generally easy to handle without gloves, the right side ones are a bit harder with gloves (as I’ve been wearing lately). This is primarily because there’s no easy to feel separation between the two right buttons with gloves. The little notch isn’t easily picked up on. It’s not a huge deal, and definitely not a deal breaker, but worthy of note. The front and left buttons are easy, since they’re solo. If you need to switch into the main menu for any reason, you can do so by holding the top-right button. The unit will remain recording your ride while you’re wandering in the menus (unless you stop riding, in which case auto-pause kicks in). When you’ve completed your ride, it’ll automatically pause as normal. After that’s complete you’ll want to hold the upper right button to get into the dashboard, at which point you’ll go into the Ride sub-menu and select ‘End Ride’ to save the ride. This is another scenario where I wished I just had a ‘stop’ button. Take for example my street. I’ll complete my ride when I get back to my house. But due to the 3-4 lanes of traffic (it varies, no lane markers), I sometimes can’t cross from the bike lane to my house easily. Thus, I’ll do another lap around the one-way streets to get back to my side of the street. But I don’t want that recorded, since it’s usually cool-down type fluff (or post-cool-down). With the Joule, I have no choice, I’d have to wrestle through the menu’s and buttons to stop/save the ride (while riding along), and then seconds later it’d start recording a new file again. Again, that’s why god created the stop/start button on every other electronic device since the 1920’s. The Joule GPS unit carries over with it virtually all of the power meter fields of the previous Joule units (2.0 and 3.0). And in much the same format. Below is a simple table from the official manual of all of the display fields available in the Joule. On the Joule, all metrics are arranged in a trio. The first metric is the one shown in the upper portion of the unit (upper portion of the dashboard), while the second two metrics are shown along the bottom only one the primary metric is highlighted. These lower two metrics are ‘paired’ to the upper one. Sorta like brother and sister. Above, you can see I’ve highlighted ‘CAD’ (Cadence), and on the bottom it shows my average cadence (left) and max cadence (right). You can of course swap them around. You have a total of three customizable dashboard views, plus the bar graph along the bottom (which displays your current metric level against the max level. For example, a small notch will appear about halfway if you’re putting out 200w, and your max for that ride was 400w. Additional screens are shown for both the GPS map and interval (shows you core lap information for each interval). Probably the most important new feature to the Joule GPS is the GPS itself. This is the first CycleOps product to have an integrated GPS within it. In doing so, it puts it on a level playing field with the Garmin Edge 500 unit. When you first power on the unit it’ll start searching for GPS signal. You’ll see this at the top with a blinking directional arrow. When the arrow stops blinking, it’s found signal. While I appreciate the visual queue – I do wish it was more obvious. Most other GPS units on the market have a much larger symbol that obscures the screen prior to acquisition of signal. They do this for a reason: To remind you it’s not yet ready. Departing before it’s ready only makes things worse. First, it’ll record random points – like mine the other day showing a plot across town. And second, it’ll only serve to delay finding satellites. Of course, this issue is compounded because the Joule GPS is set to automatically start recording when the wheel moves. So the simple action of moving your bike from one side of the car to the other starts the timer. On average, it seems to find satellites within a minute or two. It doesn’t seem to the fastest turtle on the block, but generally it does find the signal within that timeframe. Obviously, the more you do to remove obstructions from view (trees/buildings/giraffes)– the better. In the event it doesn’t find signal within a reasonable amount of time, it’ll prompt you asking if you’re indoors. If you are, it’ll turn off GPS and go ahead and utilize ANT+ sensors for speed and cadence. This map is a breadcrumb style trail that shows you where you’ve been, but doesn’t show any other terrain or typical map features such as roads or lakes. Again, this is akin to what the Edge 500 offers, and differs from those products that offer full blown mapping on them – like the Edge 800 or the Mio GPS units (Europe). The one notable difference between the Joule GPS and the Edge 500 though with respect to breadcrumb trail is that on the Edge 500 the breadcrumb trail is only shown while in a course/route mode. Meaning, you can’t see where you’ve been unless you’re in that mode. But on the Joule GPS you can see this at any time, no route/course required. You can zoom into the map by using the + and – (on left/right) to get a better view of your track file to date. Navigation falls into one of two categories. The first is via waypoints. Essentially point to point routes. In other words – go from Point A to Point B. It’s sorta up to you as to how to make that happen. The unit will provide a basic compass and directional support with distance remaining. But it won’t provide a ‘turn left on Maple Street’ type functionality. It does provide left/right style functionality if the file specifies it. You can do this through some editors, but it won’t happen automatically. The closets it comes to that is via the ‘Routes’ functionality. In that function, the unit follows a preset list of waypoints. Again, like the direct to waypoint functionality, you’re only getting point to point information, which may not be terribly useful in real-world routing. You can get these waypoints onto the device using the CycleOps PowerAgent software. You’ll primarily do this by taking an existing activity and then creating a route from it that can be downloaded back to the unit. You can’t specify waypoints at free will in the software. [Updated] You can however import a file from GPX or TCX, which is done via File > Import > Route. This will then allow you to import those files into the Joule GPS. You can use common sites like MapMyRide or even Garmin Connect to quickly spin out routes to download to the unit. On doing so, you’ll also gain a ‘Virtual Racer’ style functionality, whereby you can go ahead and pace against a previous time/pace. For example, if you grabbed your file from past years (again, even a Garmin .TCX file), then you could pace against that performance. Additionally of note is that if you have a PowerBeam and the CycleOps Virtual Training software, you can export out the route with the slope of the route. I haven’t had a chance yet to try this, though it will be included in the upcoming CycleOps Virtual Training software review. The unit includes a barometric altimeter to record elevation. Typically a barometric altimeter allows for greater accuracy over GPS-based elevation data. The unit allows for you to configure a current elevation, effectively allowing for calibration to a known altitude. Determining accuracy of altimeter data is almost as much fun as cleaning toilets with toothbrushes. Unless you live in the mountains with clearly marked (and quadruple checked) elevation markers, it’s hard to ultimately determine which unit or marker is truly correct. Regrettably, I don’t live near any mountains, and thus have to make due with little hills here and there in my area. The last one is a computed value that Garmin Connect offers for a given route based on NASA data around elevations at any point on earth. It’s a good barometer of elevation data, but since it’s measured using lasers that bounce off the earth back to satellites, it can be occasionally incorrect in scenarios such as bridges or overpasses. Nonetheless, I figured some might find it interesting. I don’t have any usable insight into which number is most correct, though it’s fairly obvious which number is least correct. In addition to a barometric altimeter, the unit also includes a temperature sensor. The temperature sensor is actually a byproduct of having the barometric altimeter. In the case of the Joule GPS – they display the temperature at the top of the unit at all times. You can also configure the temperature to be displayed on the dashboard fields. It’s in this same area you can go ahead and set the sunrise and sunset times to be displayed – helping you to know exactly how much time you’ve got left till the sunset. This data is automatically determined based on your known GPS position. The unit includes a rather bright backlight – similar to the previous Joule unit. It’s plenty bright enough to rock intervals late at night in a dark place…you know, like your living room. Or the street. You can see below the backlight on in these photos, taken at dusk. Not too shabby. The unit allows you to specify a backlight level (brightness) as well as set a timeframe for how long the backlight stays on. You can choose ‘Never on’, 10-seconds, 20-seconds, 30-seconds, 1-minute, or ‘Always on’. If you’re training at night, I’d go with ‘Always on’, as there’s nothing more annoying than the display turning black and having to fumble around and find the button. But if you’re primarily a creature of day, then just leave the default of ‘10-seconds’ – which should work for the odd scenario where you find yourself in the dark with the unit alone. Additionally, you can just use the ‘Smart Backlight’ option (default). When this is enabled, if it’s dark out, it’ll simply keep the light on. Where when it’s light out, it’ll turn off the display. It’s like those cars where the wipers automatically turn on in the rain. Sorta. It works well though, so give it a whirl. One of the major marketing pushes of the Joule series has been the ability to dive into your historical statistics without the requirement that a computer be available to you. It can display daily, weekly, monthly, heck – even 6-month totals. Ultimately, the history screen is pretty cool. Well, it could be cool. 1) The totals fields don’t reflect any rides that you’ve taken since you’ve last connected to your computer. In effect, those totals are done with the PowerAgent software and downloaded back to the unit. For example, in the above images, it’s missing the ride I just completed minutes prior. You can view the ‘last ride’ within the ‘last ride’ views, but it won’t show up in any of the cooler views seen above (like ‘2 weeks’, ‘4 weeks’, etc…). 2) In general, I haven’t found the totals to be terribly accurate. There are rides that don’t seem to be factored in for reasons I’m not clear on. It’s as if they don’t exist – even when they do – and post-download/upload/sync. The Joule GPS easily supports indoor trainer use – something I’ve been spending a lot of time on recently as I work on upcoming trainer reviews. When out of reach of satellites the unit will prompt you if you’re indoors, at which point you’re offered the choice of disabling the GPS receiver. The Joule GPS works inside as long as there’s an additional ANT+ sensor of some sort present. That will trigger the unit to start recording your data while on a trainer. Speed will be captured using a separate ANT+ speed sensor (or, the PowerTap hub), while cadence will be captured using a separate ANT+ cadence sensor (or again, the PowerTap hub). And power will be captured using your ANT+ power meter of choice. Same goes for ANT+ heart rate. The data will look the same indoors as outdoors, largely in part because the Cycleops PowerAgent software doesn’t really have any mapping tools available to it – so all data pretty much looks the same. While this is probably clear to most, I did want to ensure it was clear to all. The Joule GPS supports any ANT+ power meter on the market today. For example, it’ll of course support their house-brand PowerTap lineup, but it’ll also support competitive units such as the SRAM Quarq Cinqo, Power2Max, SRM, and more. Additionally, it’ll support quasi-power meter such as the PowerCal (also made by CycleOps). I’ve been using it with an array of power meters over the past few months, from a Quarq to a PowerTap to a Power2Max to the PowerCal. Down the road, it’ll also be compatible with upcoming ANT+ power meter device profile products such as the Wahoo KICKR, Stages StageOne, the ROTOR power meter, Garmin Vector, and the Brim Brothers Zone. Note however, it will not, nor is, compatible with the Kinetic inRide system, or the Velocomputer system, which both rely on Bluetooth Smart. Nor is it compatible with the Polar/Look Keo Power System, which relies on Polar W.I.N.D. [Update] The unit supports both auto-zero and manual-zero. Auto-zero can be enabled or disabled on a per paired power meter basis. Manual-zero can then be initiated on a given power meter. It’ll display back the raw torque value, as well as the offset. Phew, hopefully that’s clear now. The unit supports left/right power, via the ANT+ Pedal Balance metric. This metric enables you to display left/right power information from power meters that support the metric. 1) Power meters that actually record separate left/right channels: In the next few months (or 18 or so months), these units will independently measure left/right power. This is typically done at either the cleat, the pedal, or the crank itself. There are currently none of these units available for purchase on the market today. Instead, they have availability timeframes from January 2013 until TBD dates. I’d expect we’ll see most of these in the spring/summer of 2013. Companies and products in this category include the Garmin Vector, Brim Brothers Zone, and the Rotor power meter. 2) Those power meters that fake it: For this category, it’s becoming popular to offer an estimated pedal balance by splitting the right-side measurement into the front and back portion of the stroke, therefor driving an assumption that if you’re pulling up, it’s the opposite leg driving the equation. Power meters that today do this are the new SRAM Quarq Cinqo units (2012), and the new September 2012 and beyond Power2Max units. In any scenario, these are all support on the Joule GPS. At present, I don’t have a unit that supports left/right power (well, I do, but it’s not on the bike due to some technical issues). So instead I was able to do some basic validation using the ANT+ simulator to show you what it looks like on the Joule and validate the data looks correct. Below, in the CycleOps PowerAgent software suite, you can see the pedal balance data carries through there as well. As more of these units hit the market, expect to see this data become more mainstream. Today however, there’s actually very little this data can be used for. And there’s still significant debate within power meter circles on the value (if any) of this data. While it may seem obvious that one could focus on leg work to strengthen the less-dominant leg, in reality, it’s been found that overall power tends to fall when one attempts to correct for imbalances. The one area that left/right power has been valuable in though is injury recovery – as it can help one better track recovery of a given leg back to a normal state. The first step is getting the data off the unit. To do so, you’ll use the included micro-USB cable (same as your cell phone cable, unless you have an Apple device) – and you’ll plug it into your computer. The USB port is protected by a small rubber cover, though the port itself is internally waterproofed in case water seeps in. You may remember when I did submersion tests with the previous generation Joule unit. While the unit will show up as a USB mass storage drive (like a thumb drive), the data itself is encapsulated in a binary blob of sorts that requires specific software to grab the files. This is somewhat unfortunate because it would greatly open up the 3rd party software world if the files could be plucked straight off the device. Once you’ve got it all connected you’ll open up the PowerAgent software to download your workouts. After each download session is complete, it’ll offer to wipe your workouts off the unit. Personally, I want them on there until I need the space – since it reduces the amount of loss. Unfortunately, the result of that is that it takes forever download new workouts – since the unit downloads everything, every time…and it takes a while. [Update] I’ve been told an update has been made that should make this quicker in the next version. Today I’m on the latest downloadable version – 7.5.6.13. So versions post-that. A result of my choices I suppose, but ultimately I wish it wouldn’t take so long (no other unit I know of takes this long). By ‘long’, I mean that I grabbed the above screenshot before I started writing this whole section from the bolded text two paragraphs above the screenshot. I’m still waiting. With the workouts downloaded, you’ll get the option to move them to a bunch of popular online services. This does minimize the need for the files themselves to simply sit on the Joule openly, since the most popular services area available here – including TrainingPeaks and others. Or, you can simply click to save the files locally into the PowerAgent database, where you’ll be able to dig through them with the PowerAgent software. PowerAgent is the free analysis suite that CycleOps provides for splicing an dicing your ride files afterwards. The software has been around for a number of years and is primarily focused on the data side of the ride, rather than any of the mapping aspects introduced as part of the Joule GPS. Additionally, within the graph you can highlight given sections to get more detail about that specific section, and zoon in. The obvious hole in the software is the lack of mapping. There’s no mapping functionality nor any references to it. Given the core portion of the Joule GPS is the…GPS (it makes up 50% of the name). It seems odd to not even provide a basic map as part of the core application. In addition to the desktop software, CycleOps also offers a web based version which is aimed more at sharing rides than deep analysis. This is called ‘Training Camp’, and is one of the services listed within the PowerAgent software that you can automatically push a workout to upon download from your Joule GPS. Unfortunately for me, my attempts to upload to this service appear futile. I’d upload from within the PowerAgent software, and the workout files while saying successfully uploaded, would go into the ether. Never making it to the ‘other side’ on the Training Camp software. Hopefully I’ll be able to revisit this in the future once the bugs are sorted out. In addition to the CycleOps options, Golden Cheetah has introduced direct download from the Joule GPS in their latest 3.0 beta builds. While Golden Cheetah 3.0 isn’t quite here today in its final form – it does offer a solid alternative, and is becoming highly popular amongst cyclists looking to do advanced power meter analysis. Note that you don’t need version 3.0 to use the Joule GPS, you can simply export the files from the PowerAgent first. But what version 3.0 does do is to remove that middle-man step and allow you to download straight from the unit to Golden Cheetah. Like download from within PowerAgent, this takes a heck of a long time if you have lots of files on there, as it also has to iterate through each file. After which, you’ll have the full suite of Golden Cheetah analysis tools available at your disposal. For example, below, the Critical Power Plot. You can add any number of different charts or pods by right clicking in the menu bar. Look for more detail on Golden Cheetah in the future as I’ll likely discuss it within my Mac software post (it’s available on Mac as well as Windows). Here’s a quick run through of the accessories and sensor types that the unit supports today, as of November 8th, 2012. The Joule GPS supports ANT+ Speed/Cadence combo sensors. This combo sensor measures wheel speed using a spoke magnet and then measures cadence (RPM) using a magnet on the crank. The most common of these is the Garmin GSC-10 sensor, which runs about $30 these days. In addition to supporting the combo sensors, the unit also supports speed-only and cadence-only sensors. While generally less used than the combo sensors, some cyclists use these on bikes where the single combo sensor can’t reach both wheel spoke and crank magnets at the same time. The most common example being recumbent bikes. These are available from a handful of vendors, including CycleOps themselves. Typically they’re marketed as “ANT+ Speed Sensor” or “ANT+ Cadence Sensor”, as opposed to saying “Speed/Cadence” sensor. The ANT+ heart rate strap is likely the most common ANT+ sensor on the planet. Virtually every ANT+ alliance member that makes sports equipment makes a variation of this strap (in fact, almost all of them are made in the same factory, and just relabeled). CycleOps both has one of their own (one of which comes with some versions of the Joule GPS). Additionally, if you have a different ANT+ strap (from Garmin, Timex, etc…), you can use that as well. In general the strap range from about $30-$45 depending on where you buy it. As noted above in the power meter section, the Joule GPS supports ANT+ power meters. Check out that section for more details on the specific units it supports, as well as the upcoming ones it also supports. Lacking anywhere else to put this, I did want to note that the unit does support charging while operating. Meaning that you can plug it in (even to a computer), and still gather data (such as on a trainer) while charging. This is useful for those doing longer cross-country routes that may need to connect it to a solar charger or similar. I recognize that it’s tough to read through the 7,034 words above, so here’s the few key/core things that stuck out to me – both good and bad. The Joule GPS represents a competitive leap forward for CycleOps. Their Joule GPS hardware is largely on-par with the most widely used unit in the space – the Edge 500. There are minor differences that exist between the two units, both pros and cons. The Joule GPS for example has a richer history dataset and offers more information around historical power related efforts, while the Edge 500 offers more customization of the display and its data fields – as well as more compatibility natively with 3rd party applications and mapping integration. The CycleOps PowerAgent software can however export out the workouts to the same format that Garmin uses (.TCX), as well as standard .CSV files (both easily consumable by tons of other applications). It just adds another step. In general, I’m finding that the CycleOps software side of things lags behind competitively when looking at the Joule GPS as a whole package – it’s as if the ‘GPS’ part of it became an afterthought (evidenced by the lack of simple mapping within the PowerAgent software). I’m sure in time these can be solved. And for many, the winter is a time of trainers, more than scenic outdoor rides. So while the Joule GPS as a package does have a handful of strange quirks in it, the hardware unit itself is pretty solid. I don’t have crashes in the hardware – something I can’t always say about competitive units. Thus, the Joule GPS easily finds itself in the category of a quite functional and buyable sub-$250 GPS enabled bike computer. I’ve partnered with Clever Training to offer all DC Rainmaker readers an exclusive 10% discount across the board on all products (except clearance items). You can pickup the Joule GPS below. Then receive 10% off of everything in your cart by adding code DCR10BTF at checkout. By doing so, you not only support the site (and all the work I do here) – but you also get a sweet discount. And, since this item is more than $75, you get free US shipping as well. Additionally, you can also use Amazon to purchase the unit or accessories (though, no discount on either from Amazon). Or, anything else you pickup on Amazon helps support the site as well (socks, laundry detergent, cowbells). If you’re outside the US, I’ve got links to all of the major individual country Amazon stores on the sidebar towards the top. Though, Clever Training also ships most places too and you get the 10% discount. I am not in the market for a device like this as I have the Edge 500, but if I was, I think I would have made my decision after only reading a small part of your post. A stop/start button is a must. I read through the whole review and I can’t see how this can compete with the likes of 500. Again, thanks for taking the time to put it all together. Ray… Thanks, as always, for the work you do. I had the opportunity to jump on a Joule GPS, and did based on the complete information you offer. However, you and other commenters rue the inability to stop a ride without diving into the menu, then dealing with the resulting new ride conundrum. If the end of your ride aligns with ceasing to move, just allowing the computer to sleep will work. If you would like to end a ride, but drive home or ride back to the car, etc., holding the “+” and “int” buttons simultaneously for 3 seconds will force the computer into sleep mode. This is effectively how you turn off the Joule GPS. Its a good device. Made better by the information you dig up. Thanks again! And you mentioned in the summary that the Edge 500 offered more customisation of display and data fields. That seemed to be one of the things they were touting for the Joule GPS – easy customisation of the screen. In your screenshot, you had 6 fields, plus the bottom row ‘brother and sister’ of the highlighted field, and the top row time, temp, battery, GPS signal. Is it always the 6 + top and bottom rows? And is the interval screen cutomisable, and if not what does it show? Itching to pull the trigger on one of these! It supports autozero, not calibration. So there isn’t anything to do mid-ride. If you’ve enabled it ahead of time, it pretty much just does it’s deal (similiar to the Edge). Otherwise, hitting the button is super-easy. Easiest button to hit given its size. I say that the Edge offers more customization because it offers more data pages, and more customization of those data pages. With the Joule, due to the triplet design, I can’t just have 8 given data fields of my choice on the front. It’s always this rotation scheme. The very top edge is always there (time/temp/bat), no matter the dashboard view. It doesn’t offer the ability to override it within the unit, though it didn’t bother be as badly some units. Within the software however for analysis you can set smoothing. I guess I would not be as concerned about the lack of a stop/start button. Given the accessibility of the interval/lap button it would seem just as easy to start a new lap once you were ready to ride and then a new lap at the point you wanted to finish. This way you only have to disregard the first and final “lap.” With that said, I am not sure how evident the intervals/laps are within the review software. I think it’s disappointing that CycleOps isn’t developing native applications for it’s products and is instead using the Java Runtime Environment. I think if you’ve never used an Edge 500, you won’t really know anything different. Similarly, I think Polar is a great brand, but I got started on Garmin, so it’s what I’ve become comfortable with. Probably great for someone that wants to get into power and has never used a GPS unit before. The Joule 2.0 didn’t have the ability to do “calibration” but you could still do a manual zero offset on the head unit (bike stationary, feet off the pedals) and it would display the returned zero offset value. This was mostly applicable to meters such as SRM and Quarq. Does the Joule GPS not have the ability to do that? As much as the “backpedal four times” method of zeroing a Quarq *seems* to work, I much prefer to do the manual zero offset, so that I can keep an eye on the stability of the zero offset number. Also, it’s necessary to be able to perform a manual zero offset if using a crank-based meter in fixed gear application (i.e. track). If the Joule GPS doesn’t have the ability to do that, it’s a dealbreaker for me, at least. For mountain biking I keep Record Control by HR. At least a Shutdown button would be needed (my fix would be a very long Press of the Enter button). You can play with Ride Pause, but you still end up deleting those empty rides. You have customizable fields, but can’t anymore select which from the three metrics is shown in the dashboard. In the Interval list, power average and total Kj is shown (before it was avg. power and avg. heart rate). You can’t customize it. After a year and a half everyday usage, my Joule 2.0 (with P2M) is going to need a new battery (which is replaceable). You can’t open the new GPS one, how about the battery change? I would like to see it as an USB-drive at Explorer. There’s a AC-button downside of the unit. Would it reset everything? Uploading to Training Peaks and getting the Map shown there, that’s really great (no luck before with Polar and Nokia gpx-files). Zero watts in % is always 0, in both columns even if zero watts as absolute value seems to be correctly shown. It seems that NP is not just displayed as a rounded number, but also it is also stored as it is shown. It has a strange secondary effect, namely one can observe a decrease, even if it is a small amount, of TSS during the ride. A small increasing jump is easily consumable for the human brain, but when the rounded NP changes eg from 200 to 199 and it causes TSS to drop eg from 300.0 to 298.5, then I say “wow, the more time I ride, the less TSS is”. Of course Joule users can figure out what is happening, but it shouldnt be a puzzle for users. Both in Joule’s Reports & History and in Poweragent the peak power data are calculated in a way that resting is not included, thus they are overestimated. A) 5 min record without resting is a 5 min record. B) 3 min tough ride+ 2 min resting+2 min tough ride again should not be a 5 min record even if the average power of the 5 minutes when riding is above that of A). Short rides demolish the history peak power data in Joule. Eg if one has a history file of 35 minutes, then no problem with peak power data over from 5 secs to 30 minutes, but 40 mins and 60 mins are 2999 watts. It distorts the Max history too, it obscures the real records. It is solved in Poweragent, data of 40 mins and 60 mins are not shown and not even used for neither the activity peak power, nor the all time peak power curve/data, but it should be sorted out in Joule Report and in History reports. EDITED: The problem happens if one send to Joule 2.0 a history file of ride less than 1 hour with Copy History to Device in Poweragent. these histories have 2999. If one enters the Altimeter menu without doing anything else, just the fact that he enters means an auto set of the elevation to the non-adjusted altitude (Current Alt. Meters). IDEA: in order to avoid having too much unwanted Finding attempts during the ride , there should be a Deactivate menu item in the sensors menu, so one can deactivate eg. all the HR sensors. For the time being I delete the paired HR sensor if it is not on my chest to avoid continuous finding which would drain the battery. Why cant I deactivate a sensor? I was explained 6 months ago that while cadence sensor signal overrides PT hub cadence data, speed sensor signal is overriden by the hub speed data. I can confirm both facts, but last weekend I realized that distance is calculated using the speed data (number of rolls) from the speed sensor and not from PT hub. I am pretty sure about it because I had installed 5 spoke magnets on the front wheel evenly spaced to test whether I can improve the acceleration calculation of my newly acquired iBike where I set the tire circumference to 419mm instead of 2096mm. I paired the speed sensor with Joule too just to make an experiment while in Joule I left the tire circumference of the speed sensor 2096mm. Speed was fine on Joule due to the hub speed data, but distance was 5 times flawed. Thus it is evident that distance calculation uses the speed sensor data. It does not mean any problem for me, I simply un-paired the speed sensor from Joule, but I think the logics is not there regarding whether the hub or the speed sensor is the primary ANT+ sensor regarding speed based data (that is speed and distance). Again it is not a complaint at all, just sharing a byproduct of my freak tests. There is a battery drain when Joule is switched off. Since mid-September I realized it has a battery drain even if it is switched off. Normally the discharge rate of a lithium battery should be like 8% per month stored at home at 21 °C (source link to sciencedirect.com…ii/S037877539800158X), while mine is losing one or even two sticks from the four in the battery level indicator after a full recharge and an idle (switched off) period of 7-10 days. Can I trust the battery indicator IOW is it possible to fully charge Joule, if yes when it is? I made another battery test I looked for my other battery which has not been used for appr 4 months. Normally it should have lost 25-35%, but no, i could see all the 4 sticks. I thought it was just a wrong battery indicator issue and started to charge it. I properly got the thunder symbol next to battery indicator and the “charging” text at the middle in the bottom. But I know Joule 2.0 as my sweetest sibling, so after 30 seconds I unplugged and 5 more seconds later I re-plugged it. I got a “charge complete” text at the bottom of the display. It is impossible that the discharge loss of 4 months storage of the battery can be compensated within less than a minute. The 18 items were reported to Saris/Cycleops on the report dates, and altogether again on 2nd of September (see the thread of link to forum.slowtwitch.com). Until today only item 14 was solved by the firmware 14.084. I tend to accept that I am too precise as regards item 9, so it could have been dropped from my list. Nice review! I have one of these units and found out recently that there is a bug in the firmware that wont allow you to control the powerbeam pro unit(like the joule 3 does). An upgrade to the firmware is due out soon to fix that. I found the same issue in that the Joule GPS cannot control the Powerbeam Pro either by manual functions or workouts. I have contacted customer support and am awaiting a fix. The CVT is nice but direct control of the PB Pro by the Joule GPS is essential. Will update here when the issue is corrected. I like my Edge 500, but it annoys me that it can only store three bike profiles. You can store 10 bike profiles in the Joule GPS. In Joule 2.0 there are no profiles, but you can add more sensors eg speed sensors. If you have more speed sensors, you can assign different tire circumferences to different speed sensors. A couple questions – someone asked about power smoothing and you said, “It doesn’t offer the ability to override it within the unit, though it didn’t bother be as badly some units. Within the software however for analysis you can set smoothing.” Does that mean on the unit itself the power shown is direct each second without any display smoothing options, but that it wasn’t too jumpy? Then in the PowerAgent software there are some smoothing options, but those only apply to reviewing completed files, not as an option you set in the software to control the unit’s real-time power dispay? I’m also interested in the Routes/Virtual Partner functionality. Do you know if the pace is simply the distance/time of the previous route event, or is it based on GPS coordinates? For instance, a 2-mile Route with a one mile flat section followed by a one mile hill – will you always be ahead of pace on the flat and then drop towards the previous pacing as you climb, or is it smart enought to separate the pace by specific location? If the former, can you insert Laps into the original Route, and would the pacing then be broken up to improve in-ride usefulness? For alerts, am I correct that there are visual but not audio alerts? Is there a +/- or arrow to show one or more current metrics (speed, cadence, power) vs. average for that ride, or versus the Virtual Partner pace if via a Route? Or is there only the line at the bottom of the display with the mark? Before firmware 19.065 power is displayed at the raw 1 second rate. Starting with 19.065 you can adjust that on the device or via PowerAgent software. Currently the pacing features are pretty simple but it is based on an actual historical performance. We’re working on some clever ways to increase or decrease by x% for pacing off of other’s performances etc. We have no audio alerts but we’ve got a status bar for most metrics indicating the average for each and whether or not you’re above or below that average. I bought the unit used so I had no clue. Thank you! 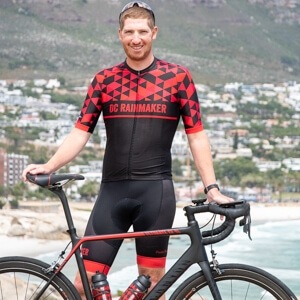 1) if you are with a group ride (mtn/road) and create a breadcrumb route of where you went, can you then *follow* that breadcrumb route alone on your next ride? As best I can tell you can’t on the edge500, but ? for joule gps? 2) I would get the non-gps joule if only it had backlighting..instead I’m looking between the 500/j-gps just to make sure I get that feature..frustrating. 3) Like the forward mount, but if it vibrates up and down too much why not make a stronger one..I had the same trouble with FSA’s mount. 4) Not being able to customize the number/name of powerzones on the joule2 was frustrating..they don’t follow any established set of zones, either. This should be completely customizable. It doesn’t look like this changed on the joule/joulegps. 5) Wish the joule would take a page from garmin to allow more screen customization (nice to make one # really big sometimes. Also for readout options: why only MMP for certain interval lengths too, why can’t I plug in # seconds/minutes, etc? I wish this were more like mini-computers (programmable) than like toasters (press buttons for preset timing). You can follow a previously ridden route on the Joule GPS but you have to first download the ride to PowerAgent and create the route there, then send it back to the Joule GPS. Sorry about not having a backlight on the non-GPS version but it takes up too much battery on the coin-cell unit. We’re working with the guys from Barfly on a new mount that is much better…. Joule GPS zones are completely customizable on both Joule GPS and Joule 2.0 but you are limited to 5 zones. You can fully customize 3 dashboard screens and you can create more complex workouts with PowerAgent software. Jesse, but why zone 1 is shown on Joule GPS as zone 0? Also, I just got a notice and upgraded to another new version of PowerAgent today (7.5.7.34). It had upgrade notes before I ok’d the upgrade but I can’t find them now to report them. I recall one being the new ability to change names of HR &/or Power Zones, which will be nice. Maybe they’ll let us change the number of Zones next! I haven’t played with it outside yet, so I haven’t figured out the answers yet to my other two questions about the Routes/Virtual Partner and Alerts. -You can now edit the names of the Power and Heart Rate Zones in the application preferences dialog. -Power zones are now shown in the detail graph. -Each metric is now on its own axis on the ride detail graph. Axes are hidden when you uncheck a box to hide a metric. -You can now edit the ride start time when downloading a ride. -Fixed database access errors that occurred on some Windows 7 computers. 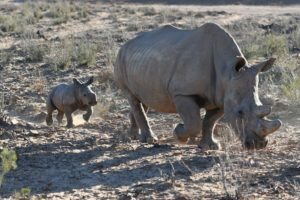 -Improved download speeds for Joule and Joule GPS computers. I have been using my Joule GPS for several months successfully indoors with my Powerbeam Pro. I’m currently in vacation, using outdoors an old bike without any sensors. Just have the HR belt. I have riden 3 hours and a half this morning and the device NEVER found the satellites ! I wait for several minutes before starting my ride, i’ve launched it several times during the ride, it gave my the BPM but no distance, no time. Is there something I’m missing ? I have tried again once I was back home, nothing either. In the Navigation Menu > GPS Statut : it doesn’t either find precision, place, altitude. This isn’t normal. If you haven’t already, please give us a call to figure out how we can take care of this for you. I’d say our auto-start for stoplights etc. is the best available, especially if you’re using a PowerTap hub or a speed sensor. Getting speed only from GPS is good also but if there is some sort of interference with GPS obviously that will effect things. Regarding lunch/coffee break length stops you can set up few different parameters to customize the experience. By default, Joule GPS will shut off after 5 minutes of not getting speed. If it does fall asleep, you’ll need to press a button to turn it back on and all the sensors will be found and you can start rolling without any other button presses. Some folks used to Garmin have a hard time with this at first since the Garmin (by default) likes to stay on until you shut it off but once you’ve made the switch, we think our approach offers the best balance between optimum battery life and maximum data being stored. -Cancel the GPS cold start when entering the GPS status => GPS signal testing screen. Add “+/-” key, to cold start the GPS manually. -Change the routing so that the route can be ridden in backward without causing an off-route warning. -Change GPS test mode in production test. -For internal testers, if the debug flag is set, you will be prompted if the GPS radio needs to be reset. -465: Shortened the hold time for switching to the menu, etc. Let me tell you, Jesse, that you are on the right way. I have the option to test 19.070 and I am quite pleased. Well done, Sir! 19.70 is really good but zone issues are still there. So if I own the Joule GPS and a G3 hub should the pedal balance work or not? I use both however the pedal balance remains blank, and help on how to fix this? No, Pedal Balance supports an ANT+ metric that’s available on some crank/cleat/pedal based power meters such as the Power2Max (Crank), Brim Brothers Zone (cleat), newer Quarq’s (crank), ROTOR Power (cranks), and Garmin Vector (Pedal). Amongst a few others I’m probably forgetting. Today CycleOps does not have any products in that market (and I can’t blame them either, given there’s very little one can do with pedal balance data, for non-injury purposes). Thank you, I guess I can take that off the dashboard then! Your reviews are great. I used to have a LYC w/ Power Tap Hub but when the hub would not calibrate, Saris sent me a new G3 hub. I bought a Joule (WITHOUT GPS). Do you know how to charge the battery? I’ve only used for a few hours and the battery keeps draining to no charge. The manual states CR 2032 battery but I’ve changed 2X and the battery runs out very quickly. Thanks. 1) Still waiting to be able to toggle between primary/other metrics (eg, have average power and normalized power both show), same as prior joule 2.0. And to change metrics from device itself during ride if needed. 2) why only 5 zones? Zone 5 is vo2 max, what about anaerobic? Why limit # at all (my coach uses many subzones)? 3) bought GPS for backlight, so how can I turn off GPS function? If I’m doing a common route or even trainer it’s pulling battery power with no benefit. To turn off GPS, go to settings menu, Navigation, GPS Status, and then toggle the Status to off. Yes that lets me turn GPS off for that one ride, but it won’t keep that as the default…you have to delve down into the menu every ride to keep GPS off. Still waiting for updates for all the above issues. how to reset to factory settings? What about readability? The displayed numbers look tiny. If the display can’t be reduced to just a few larger numbers, my wife (I’m thinking about getting this for her) will have to bring her reading glasses along on a ride! For that matter, I occasionally glance down at my Garmin while standing on a hill. I don’t thing I could read the tiny numbers on this device from that angle. Both of us tend to look at just a few values when riding, and do the deeper analysis at home on a computer. A note about using this (and any device with a display) with polarized sunglasses would be nice too. You wrote ” Uses standard micro-USB, no funky cables”. I dont know what you meant standard, but for me the standard micro USB is that one which is used by eg. Joule 2.0. Joule GPS has a different type of micro USB, the same used by gadgets of Garmin, too. For me the cable of Joule GPS is funky, because one should add a different type of cable to his collection. The Garmin Edge 200/500/etc.. all take mini-USB. The Joule GPS takes micro-USB, which is standard across every cell phone in the world these days except the Apple devices. The number of zones and its numeration is useless, joule GPS indexes zones from 0 instead of 1 !!! so PowerAgent zone 1 = Joule zone 0, PA zone 2 = Joule zone 1, etc. WTF?! Needless to say, I wish I went with the Garmin. I am very disappointed with the user interface on this device. Most especially, I cannot get accustomed to the placement their buttons. When you scroll up and down the menus to setup the device, the up/down buttons are on the left/right of the unite respectively. I find myself constantly hitting the ‘enter’ button when trying to scroll up (Just like Ray stated in his review). The absence of a manual start/stop option is also annoying. Every time I use this device, I find myself missing my old Garmin Edge 305…if only it could read power. Bottom line, I recommend going with a Garmin unit that supports power meters instead of the Joule GPS. If you have a 2012 or newer Powertap, you won’t have to worry about the aforementioned ‘jumpy’ readings. The stop/start issue is easily and essentially resolved by pressing the Interval button when you want to start and stop recording your ride; and just use the data in PowerAgent for the start/stop interval. Does the software work on Macs? Can you set it to automatically lap / interval based on distance / time? I can’t seem to find any info on the ‘alert’ capability of the Joule GPS. Are there configurable alerts (flashes if you’re out of the power zone or your cadence is out of the zone, etc)? Also, is the speed metric configurable for km/h or min/km (useful for running during cross-training)? Would it be a big problem to implement “Powercal” algorithm directly into the Joule GPS unit? I can’t seem to figure out how to control a Power Beam with this unit, I have the big yellow joule, and I just picked up one of these but can’t seem to see anywhere where you can set target power or slope. – First make sure you are using the latest firmware for the Joule GPS. v19.076. See page 41 of the User Guide to check. If not, update with PowerAgent. – Then pair the Powerbeam with the Joule GPS. Chapter 4 of the User Guide. – Then go to page 33 of the same User Guide for instructions on doing manual workouts or page 32 for scripted workouts you can create in the PowerAgent software. If that does not work, call Saris. Overall I have a very good customer service from them. Does anyone know if I pair the device with a Bontrager Combo speed/cadence and Bontrager heart strap both with ANT+, will I get a calculation for the kJ?? I also miss the fact that this device won’t calculate calories burned. As both are ANT+, they should pair with the Joule GPS. If you have a power meter, the JouleGPS will calculate kiloJoules. 1 “food” calorie = 1 kilocalorie = 4.18 kiloJoules. 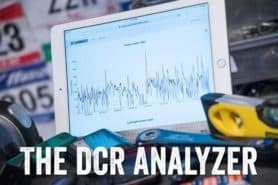 Has anyone had issues with powermeter drops? The Joule works great on my road & CX bikes with my PowerTap & Stages but constantly drops on my tri bike with the same powermeters. My only guess is that all the carbon fiber of my bars is interfering with the ANT+ signal? Happens no matter where I place it on my bars. Never had the issue with the old Joule 2.0. Hi Ray. You mention that similar holders are available at $40. Could you please mention any examples? I am looking for bike mounts which would keep phone behind or next to handlebar/stem – so that, in case i crash on some enduro trail, the head unit/phone would not be the major point of contact with the ground/tree. 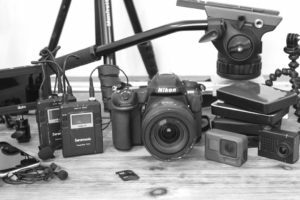 Having so many different mount options, i find it rather difficult to find anything even remotely similar. Check out K-Edge mounts and Bar Fly mounts (aka Tate Labs). I believe Tate Labs now has one for the Joule GPS. I didn’t use my Joule GPS for a few months, and now it won’t turn on or charge. Starting to think everything CycleOps sells is half-assed junk. I chose the Joule 1.0 Computer for recording data also at longer distances without need daily battery recharging. Also the multiple views/dashboards are attractive. Unfortunatly I am not able to configure the bottomline of the 3 available dashboards with different metrics. Each of the 3 dashboards should be able to present 3 different pairs of metrics, i. e. 18 metrics in total. Using the latest version of poweragent (7.7.5) on a Win7 OS only allows one pair for all 9 views. It is correct that it is only possible to configure one pair of values for the 3rd line. This is valid for all 3 dashboards. But if you configure the unspecific values “average” and “maximum” then the metrics on the third line depend on the metric that is marked by the cursor – in every dashboard. From my point of view it is not self explicating and should mentioned within the manual. But it’s a fine solution for easy installation and setup. My Joule GPS can control my CycleOps PowerBeam Pro with no problem – but can it control the Virtual Trainer software, like the Joule 3 apparently can? When starting training using the VT software, I am prompted to choose options from my PC or by pressing [button] on a Joule 3 – would be convenient if the Joule GPS could do this too, so that I don’t have to get off the trainer and go to the PC to change something. My Cycle Ops is not able to charge up. I have one bar of battery life left, even though I had it hooke up to charge for a long time to my computer withe USB cable. Any ideas? I even hooked it up straight to the electrical outlet and did not see the litttle lightning symbol. Quick question and hopefully someone knows for sure. I was playing around with my Joule yesterday and noticed something I never saw before. I know one of the complaints is the inability to manually turn the unit on and off. Well, under the settings, I now find 3 choices. My question is, what is “prompt” and how does it work? Does it allows some combination of buttons to make it work on/off? I can’t find any info about this in the user manual. During stops on long rides my unit turns off automatically. Sometimes when I hit the upper right button to resume the ride it works and other times it zeros out and starts a new ride which is very frustrating on a long ride. Any thoughts out there? 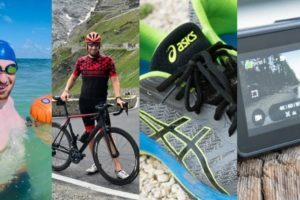 Is the only difference between the Joule GPS and the GPS+ (now under the PowerTap brand) that the GPS+ supports bluetooth? BT support, alternatives to auto-on, and better GPS acquisition. after reading this review i decided to buy the Powertap Joule gps+ (same device as shown here…) instead of the bryton ryder 40t. 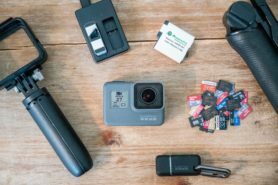 As you stated that you can pair multiple sensor of the same kind on this device i was wandering something which I cant find in this review. Lets assume I ride on tubes and I have two sets of the same wheels with the Powertab G3 power meter in them. If I would get a flat in a race and swap out one rear wheel for the other, would the joule automatically read the data from the newly swapped wheel? Or do you need to select the powermeter in the new wheel manually? From my own understanding of my unit (Joule GPS) each sensor it is paired with has its own unique BlueTooth ID. Therefore, while you can pair a single device profile to multiple sensors (of the same type), I think you will have to manually switch from one G3 sensor to the other on the device. Great review, I’m thinking about getting the new Joule GPS +. Can any one say if there been signal issues with these units and Stages powermeter or any sensors that has duo Ant+ and Bluetooth broadcast. Yes but I have only done it using the Poweragent software on the pc. So far not a bad unit. Wow just found your site, great stuff!